"RATED BEST TOW TRUCK COMPANY IN ANAHEIM, CA"
Anaheim Towing Service specializes in light, medium and heavy duty towing as well as most road side assistance emergency needs. If you are in need of professional, responsive and reliable tow truck services you are in the right place. Our focus is to provide the best customer experience possible. We understand that when automobile emergencies arise you need quick and immediate assistance. Our professional car towing drivers will quickly respond to your needs and get you back on the road as quick as humanly possible. ​As you review our website, you will find that we offer an array of towing services. 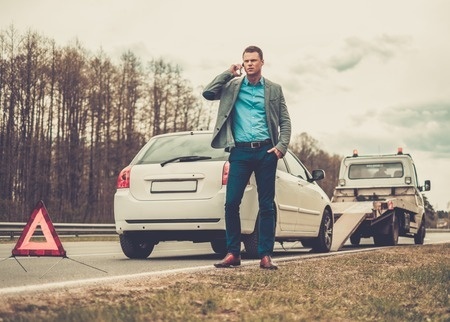 Even though the majority of our business is providing tow services to consumers, we can also assist businesses with vehicle repossession and transportation needs as well. We are Anaheim's most professional and affordable towing company, period. Anaheim Towing Service is open twenty-four hours a day, seven days a week and available most holidays. While other towing companies are sleeping, we are out taking care of the community one vehicle at a time. ​No matter what time it is, give us a call and we will be ready to service you. Light Towing generally covers sedans, coups, wagons, hatchback, minivans, SUV’s, pick-up trucks, vans and convertible vehicles. Flatbed towing is also available for motorcycles, exotic and classic car transportation needs. ​Medium & Heavy Duty Towing generally covers most commercial vehicles such as RV’s, transit busses, paramedic vehicles, semi-trucks, tractors and packaging vans. If you are stuck on the road with a flat tire, dead battery, out of gas or locked your keys in the car, call us. We will expeditiously dispatch one of our emergency roadside assistance vehicles to you. ​Sometimes these things happen and that’s OK. Our professional drivers will ensure you get back on the road quickly and safely. If your business or property needs a vehicle impounded quickly, professionally and safely, ﻿﻿please call us﻿﻿. We take these matters very seriously and will ensure the vehicle is handled properly and the transaction is handled with the utmost of care. For business owners, parking enforcement is never a fun matter to deal with. Let us handle the logistics of removing the vehicle and coordinating with the owner to retrieve his/her vehicle so you don’t have to. ​​Tips on How to Maintain Your Vehicle & Avoid Googling “tow truck near me” or “tow service near me"
Always change your oil according to your vehicles manufactures recommendation. To take it a step further, you should consider using full synthetic oil regardless of what others say. If you intend to keep your car for the long haul this will prolong the life of your engine and limit the wear and tear over time. Rotate your tires at the time of doing your oil change. When rotating, look at the tread to see if your tires are wearing unevenly. If you notice any issues, you may need to have an alignment service done. If the issue is not addressed, you will eventually wear the tread down to the steel belt which is extremely dangerous. Consistently rotating your tires will extend the life of your tires, save you money in the long run and avoid you from having to get a towing estimate. This may sound funny but try to always keep your gas tank above the half way mark. You never know when an unexpected emergency may arise and you start driving without thinking and run out of gas. There’s nothing worse than almost getting to your destination, running out of gas and saying to yourself “I need a tow truck number stat”. Check your spare tire and wrench periodically. If your spare tire is flat or you are missing the wrench to swap out your existing tire when you get a flat tire, you are going to need road side assistance pronto. Purchase an emergency automotive bag for your vehicle. Costco and/or Pep Boys usually carry them. The most important items to have would be a small air compressor, air pressure gauge, jumper cables, first aid kit, flares and/or reflectors. Some bags will even come with food, blankets and water which is not a bad idea to store in your vehicle anyways. Service your vehicle according to your manufactures recommendation. Proper maintenance will save you money and heart ache in the long run. Generally, vehicles should be serviced at 30,000, 60,0000, 90,000 & 120,000 miles. Over time sensors, springs, axles, bolts, filters etc… malfunction causing vehicles to breakdown. If you are prone to putting these types of tasks off, please save our tow truck phone number in your contacts. Try not to fill your gas tank while a fuel truck is pumping fuel into the gas station. You may be asking yourself “why”? It’s a proven fact that when a fuel truck is disbursing gasoline into fuel lines at a gas station, sediment and other particles will flow through the gas pumps into your vehicle. Your vehicles fuel filter may not be able to filter out the dirt and will ultimately ruin your engine. Don’t take our word for it, just Google it and read some of the horror stories out there. We hope these tips have been beneficial and keep you safe out on the road. Should you ever find yourself in need of towing services, please contact us.